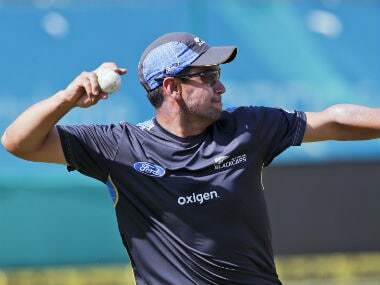 Visakhapatnam: Eyeing a historic bilateral ODI cricket series win in India, New Zealand senior batsman Ross Taylor on Thursday said they are hungry to win the five-match series decider on Saturday and make up for the 0-3 whitewash in Tests. "You don't often win series away from home especially in the sub-continent. It's a pretty exciting time. Hopefully we can get better than what we have in the past," the former New Zealand captain told the New Zealand Cricket (NZC) website as they checked into the coastal Andhra city this evening. New Zealand have never won a bilateral ODI series against India in the latter's backyard. 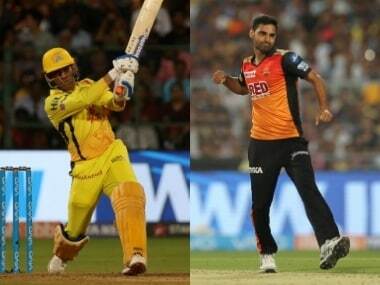 It is in sharp contrast to their 18-11 record in India in a multi-team tournament. But having defeated India by 19 runs in Ranchi on Wednesday, Kane Williamson and Co are determined to return home on a high after being on the road since the Zimbabwe tour in July. "Four months on the road becomes tough but going into a decider it's pretty easy to get up for. We have not won a series here. We are looking forward to it. We know what we need to do to win here," Taylor, who had captained the side on their last tour in 2010 in a 0-5 result, added. Terming India 'outstanding at home' he said: "Hopefully we can continue the progress we have made in the last couple of games. Hopefully we can replicate our performance in three days time." Williamson read the conditions beautifully in Ranchi to opt to bat as Martin Guptill's 72 took them to 260/7, which proved to be a winning total on a difficult Ranchi wicket. "It was a pretty tough wicket. Martin and Latham got us to a good start. Once the ball got softer, it showed how tough it was to rotate the strike. "Kane was struggling out there as well. But we were always confident to defend 260. We picked up crucial wickets along the way. Happy with the result. Going into the match with six bowlers gave Kane a bit of leeway with the bowling changes. It was pretty tough once the ball got a bit older. But we knew we had to keep wickets in hand. It was never going to be easy to score 80 or 90 in the last 10." Winter may have already set in in Ranchi, but surprisingly there was no dew on Wednesday. "We were fortunate that there was no dew out there. It shows a lot of character, not only from the side but the team management. We have been on the road for a long period of time but three more days to get ourselves up for a very crucial match."